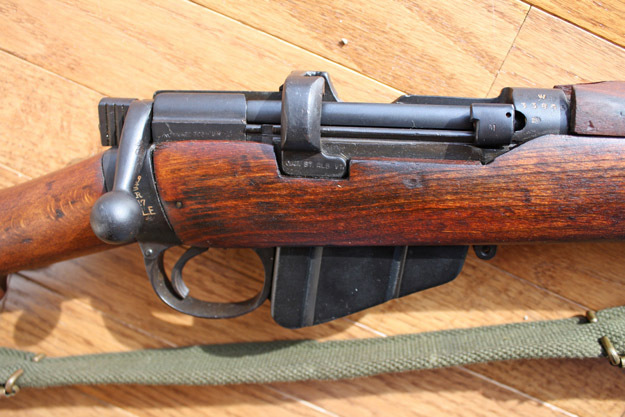 During the investigations in the early 1900's on their battle rifles accuracy problems, the Brits momentarily doubted their standard rifle's design and began looking into it's replacement. 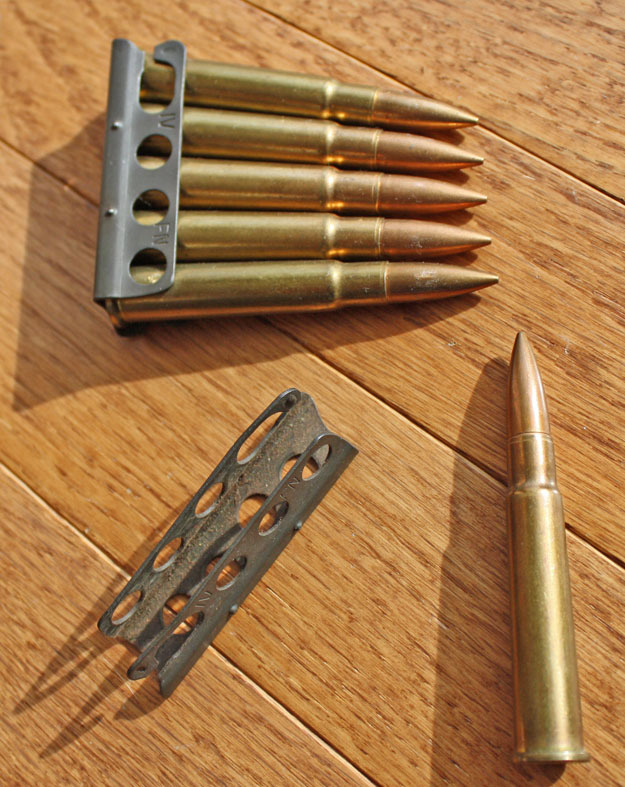 This also included the viability of a bolt action and the .303 cartridge itself. The committee quickly realized the Lee system as being robust, reliable, and no good end could come of dismissing it's use. It really had served the Empire well, and they set to work bringing it into the 20th century. 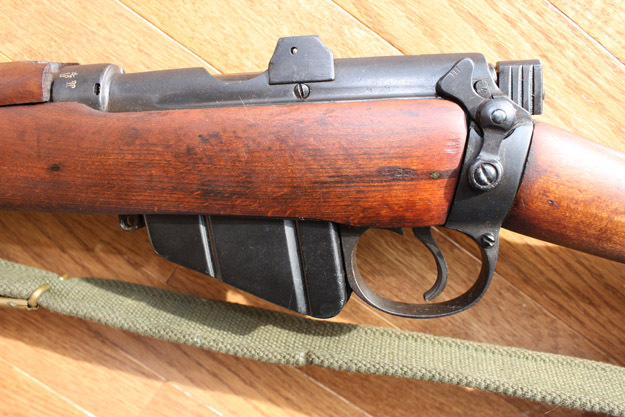 Altering a rifle is a lot cheaper than starting from scratch. Several things were desired. A shorter barrel than the 30" long lee. Mounted troopers weren't happy with their carbines, and a shorter barrel could simplify logistics with one rifle for all. Charger loading, though still resisted by some, was necessary. The weight needed to come down, and they needed better sights. 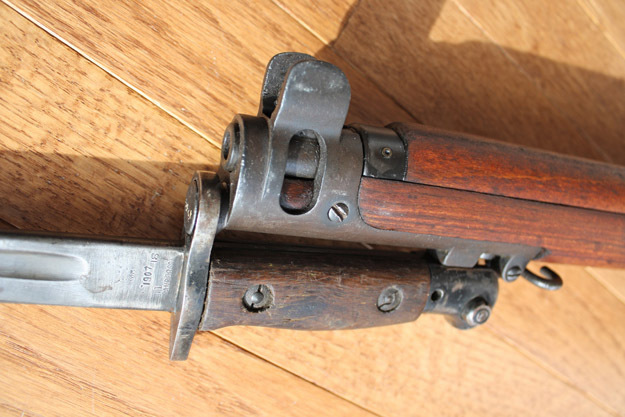 The bayonet mounted to the barrel spoiled shooting, and the trigger pull needed work. The last item to get attention was redesigning the bolt body to get the striker out without tools. 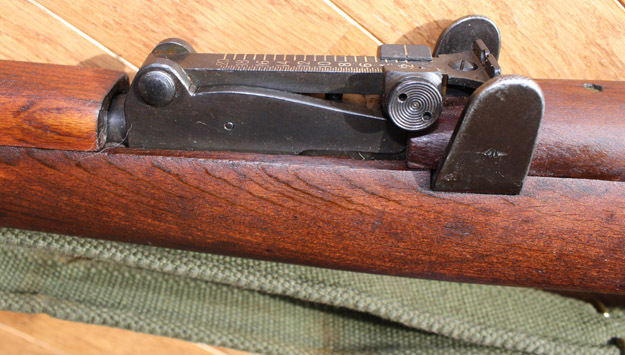 In 1901 a thousand units of the new short rifle were authorized, and since it was a test, they were split up between two sight designs to quickly bring that problem to an end. The barrel was lightened and much shorter, leading to a problem right away with velocity. To improve that score the rifling was changed, being deeper towards the muzzle and the last 14 inches of the barrel being bored our by .001". This gave satisfactory velocity. The rifle had it's teething problems. Some yearned for it's old, heavy long barrel, some didn't like the increased recoil. and some didn't like the new sights. The sights had a windage adjustment added for the first time, and much finer adjustment than before. They did like the stock running to the fore-end. Grabbing the barrel after shooting to use a bayonet was almost impossible on the old Long Lee. Several different receiver designs were tried for chargers, and most proved unsatisfactory till the bridge mounted charger guides of the Mk. III. With every improvement to the SMLE, (Short Magazine Lee Enfield) all the previous versions of the rifle had to be brought up to spec also. This led to a bewildering variety of Marks and Stars in the nomenclature. It also kept the rifle factories hopping. New tools were developed to gauge barrels, proactively replacing barrels when they deemed accuracy could suffer. Travelling inspectors visited all army units on a rotational basis. The Brits were serious about their guns. 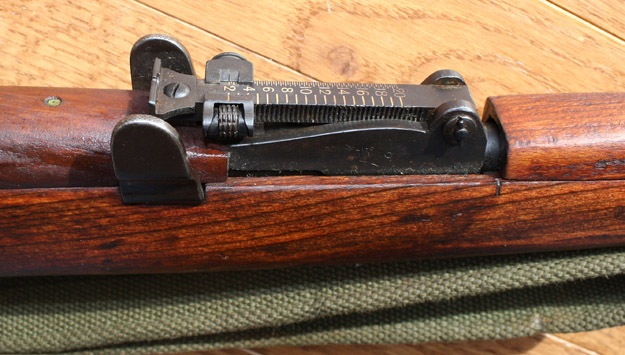 The final mark of the III series dispensed with the long range sights, the magazine cutoff and the windage adjustment. War had progressed to close combat, and the long range shooting of the old days was gone. 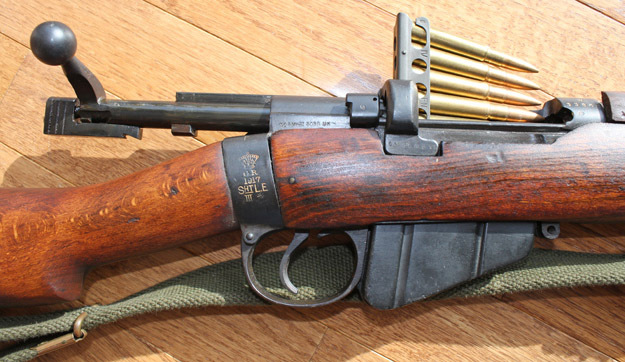 From 1914 to 1918, Enfield cranked out 2 million SMLE's, while BSA was making 10,000 per week. The Mk. 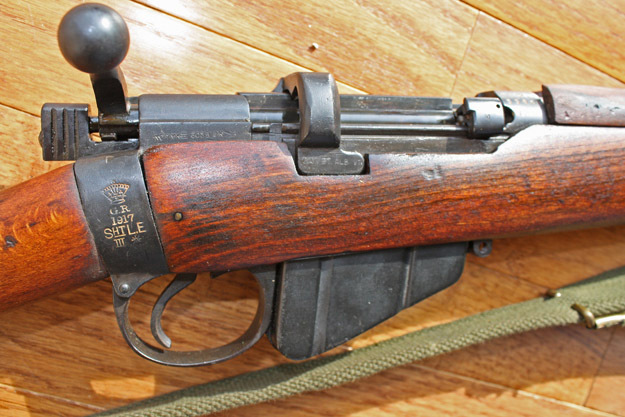 III rifle was finally discontinued after WW2 in England, but was still made in Lithgow, Australia till the 50's. Variations of the Mk. III were made in India till the eighties.